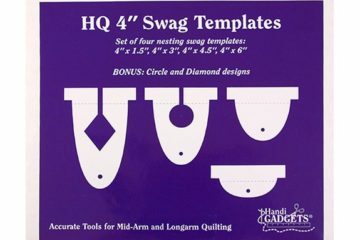 Four different sizes 4 inch wide swags that also include bonus circle and diamond cutout designs. 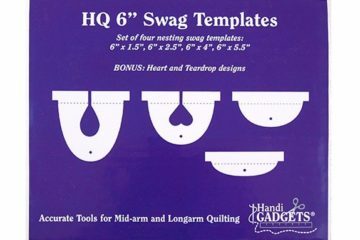 Use one, two, three or all four of these 6 inch swag templates together to create beautiful swag designs for quilt borders. 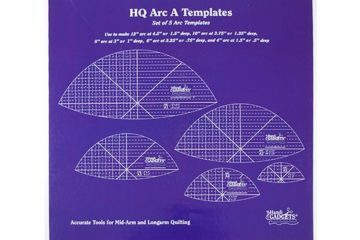 You can use the HQ Arc Set A to make either shallow or curved lines. This is perfect for leaf shapes. 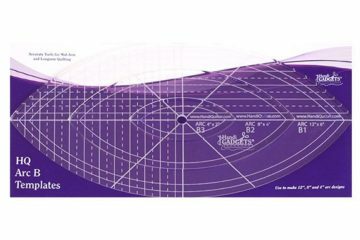 Come with 12″, 10″, 8″, 6″ and 4″ templates. The Arc B Set is made from .25-inch thick quality acrylic. 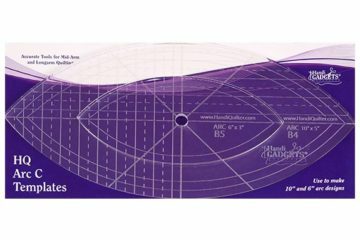 Use the HQ Arc B Set to make either shallow or curved lines. The HQ Arc C Set C is made from .25 thick quality acrylic. 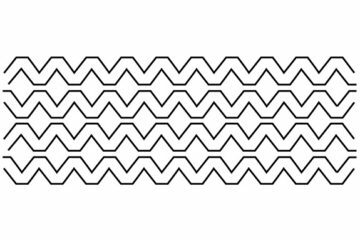 Use the HQ Arc set to make either shallow or curved lines. HQ Groovy Board Aztec pattern 10″ x 24″ create a precise pattern that can be used by all quilters, from beginner to expert. 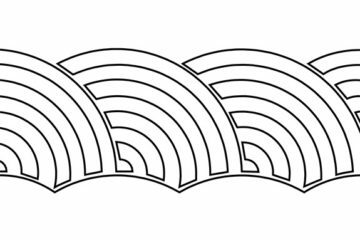 HQ Groovy Board Baptist Fan pattern 10″ x 24″ create a precise pattern that can be used by all quilters, from beginner to expert. 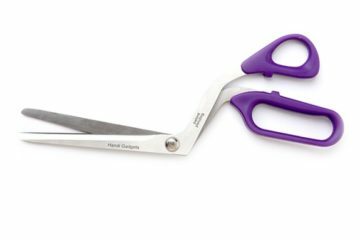 These Handi Batting Scissors are perfect for cutting Batting/Wadding. 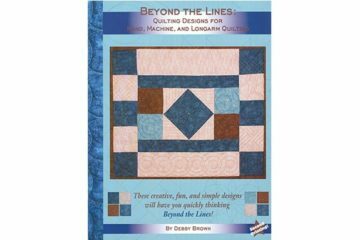 Develop your skill with over nine pattern groups to discover, featuring expanded designs, with step-by-step instructions from Debby Brown. 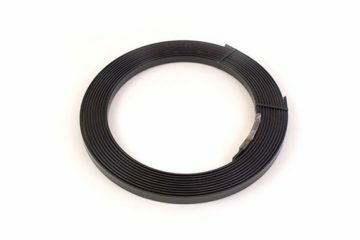 A replacement black track insert for the 12-foot HQ Precision-Glide aluminium track support. 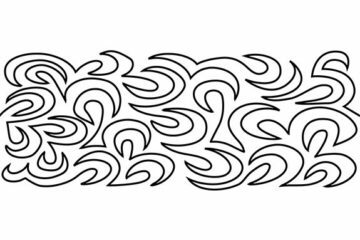 HQ Groovy Board Blustery Breeze pattern 10″ x 24″ create a precise pattern that can be used by all quilters, from beginner to expert. 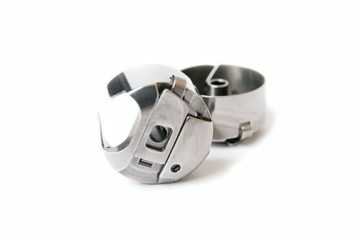 Store up to 30 bobbins M-class and L-class bobbins in this ‘Handi’ Bobbin Case! 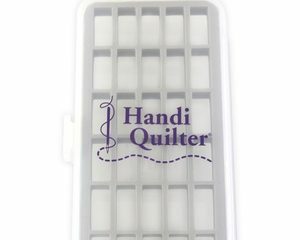 The M Class bobbin case is great to have handy in case you need a quick replacement and don't want to wait to continue quilting. Do you need more tension when you quilt? 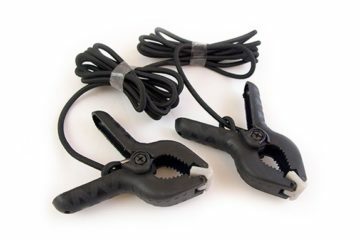 These 5 foot long bungee cord with clamps attach to the HQ Studio Frame or the HQ24 Fusion Frame. 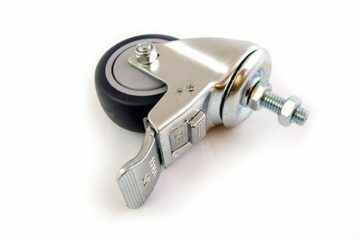 Durable castor wheels that are designed to fit the straight leg version of the HQ Studio Frame.